is there any way to get this shirt?? 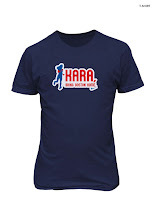 Unfortunately that shirt was produced when Kara ran the 2009 Boston Marathon. I will find out from Nike what might be going on for the 2011 race. Please stay tuned!